ePublishing Knowledge BaseePublishing Knowledge BaseePublishing Knowledge Base PollsHow do I remove a poll from the website? To manually remove a poll from the site, hit the UNPUBLISH button. Timing will depend on the caching rules. 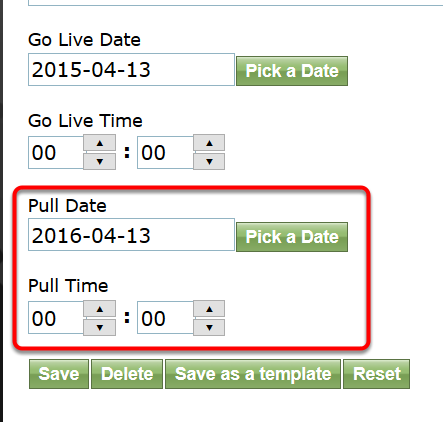 Setting the Pull Date/Time with a date in the future will automatically deactivate the poll, removing it from the site when the time passes. The poll will still be published, but will be inactive. Prev: How do I delete poll questions? Next: How do I create an RSS feed with multiple topics/taxonomies?